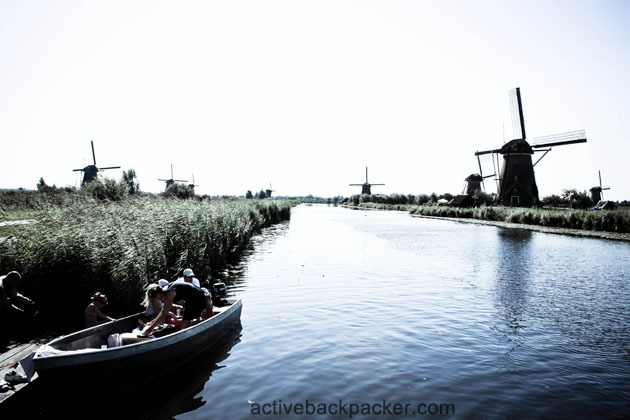 It’s fun to explore Europe whilst we are based here in Rotterdam, but it’s also nice to adventure around The Netherlands itself… as we discovered on a little trip to a place you may have heard of already, the Kinderdijk! You know how Holland is famous for its traditional and historic windmills (amongst other things)? 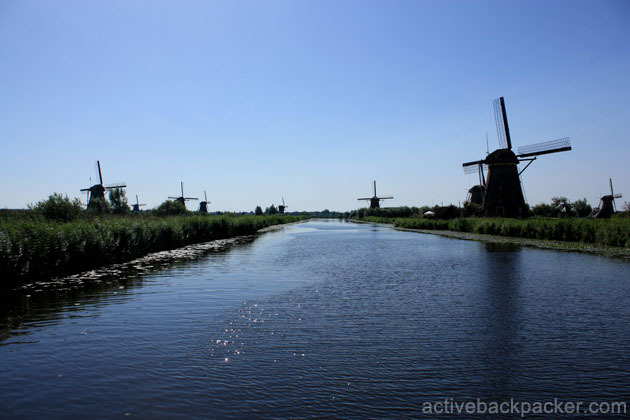 Well this is largely due to this stretch of mills known as the Kinderdijk. 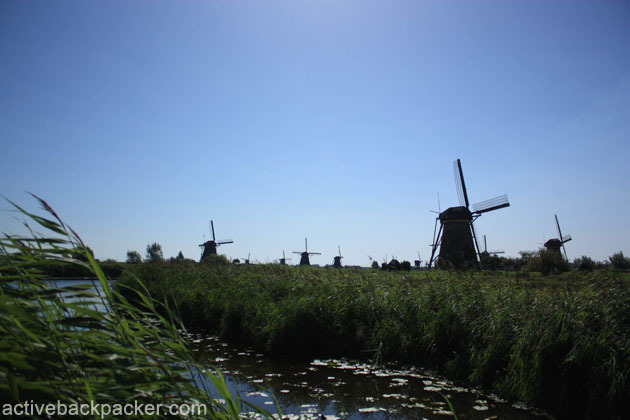 The whole area is soaked in a rich history, and as you walk out upon the path (when we went it was a blessedly sunny day) you’re met with a glorious view of windmills stretching off into the distance amongst the winding and ever so Dutch canals. Located in a place known as Alblasserwaard, the Kinderdijk was originally built to control the water levels of the area and to stop flooding. If you didn’t know already, a lot of Holland is actually under the sea level including the area of the Alblasserwaard polders (polders are areas of land that are low-lying and prone to flooding). Due to these polders, a series of mills were built to drain any excess water from them and sluice (move) it into the river Lek (aka the Rijn). The mills use the natural element of the wind to power huge paddle-wheels that scoop up the water and assist with the draining. It can get as exceedingly complicated as you like (and let’s be honest, way out of my engineering league), but that’s it in a nutshell. These days a massive pumping engine (including the LARGEST water screw pumping station in Western Europe) do the same job as those trusty windmills. Anyway, it’s always more fun to look at pretty pictures then talk about old-school impressive engineering feats, right? It’s possible to get a ferry there with a bicycle from Rotterdam and then ride to the Kinderdijk. It’s also possible to drive of course. You can rent bicycles for a couple of Euros from the visitor information shop out the front if you want to ride around and explore the area. If you’re wanting to take public transport, head to Rotterdam-Zuid or Utrecht Centraal where you can take a bus directly from the station to the Kinderdijk. The Kinderdijk is great to see, and is a real Dutch adventure and I highly recommend it if you’re planning a trip to The Netherlands. It’s a good photo opportunity… and we all know that good photo opportunities make great mementos once your trip is over! I always knew Holland had windmills (who doesn’t, really), but I had no idea there were so many of them all in one spot. Definitely a great photo opportunity. Wow this is a walk I would love to do, there’s something romantic about windmills and life when they were actually used to work and make a living. Yep, there really is! It’s fun now as well, people still own the windmills (it’s not owned by the government or something) and some people actually live in them and have turned them into houses. Thanks for the comment, Bob. You’ve got some great photos of windmills there 🙂 The Kinderdijk is definitely worth a visit if you like windmills and how they used to use them to manage flooding/water levels! 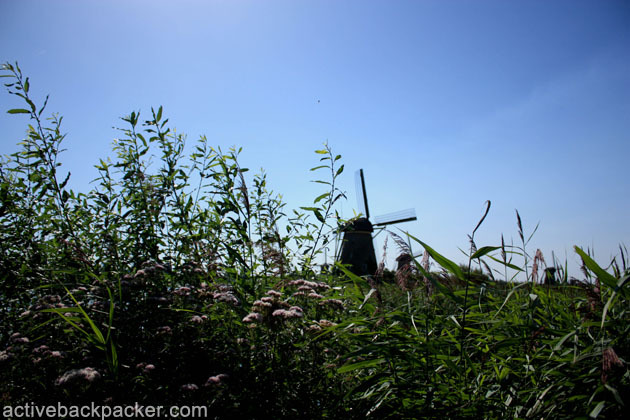 hi, which is the faster way to get to kinderdijk from amsterdam.is it the amsterdam-rotterdam or amsterdam utchert route?